Blanket Flower, also known as Indian Blanket Flower, is a fairly drought tolerant perennial that prefers full sun to partial shade. It has yellow and red daisy-like flowers that bloom June to September, It thrives along prairies, foothills, and roadsides. It is used for both erosion control and beautification. 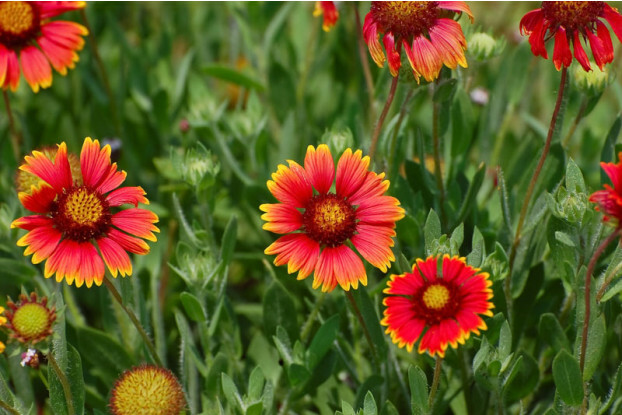 Blanket Flower is the state flower of Oklahoma.